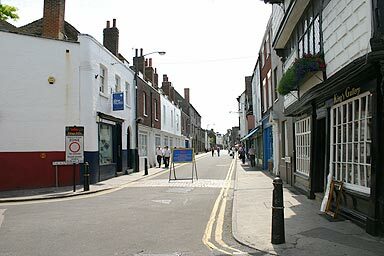 Palace Street leads into the centre of the city. The board in the middle of the street signals the start of 'The Kings Mile', closed to traffic and allowing pedestrian access to the city. Turn right for a view of the Kings School shop, and left for the entrance to Kings School. It's also a back entrance to the Cathedral.